This is one of my favourite business as of late. 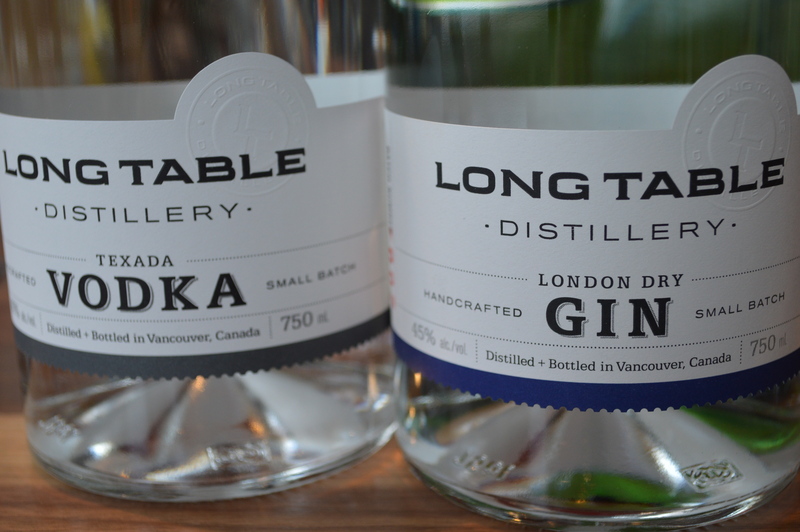 Long Table is Vancouver’s first micro distillery, creating small-batches of vodka, gin and speciality spirits. Using local resources, like pristine BC Coast Mountain Range water and organic juniper berries, their products reflect a lot of care and quality and may I say, love for their craft. Located at 1451 Hornby St. in Vancouver, this business knows how to treat and delight their customers – everything from samples and tastings to their Gin and Tonic Fridays (where you can enjoy a delicious gin and tonic for a reasonable price as well as some tasty eats by Vancouver’s best food trucks). Their vodka is my favourite product: Made in small batches, the vodka is distilled in a copper pot with fresh lemon grass added for a hint of citrus. The vodka is then polished over a bed of Texada Island limestone which gives it a clean and smooth taste. This vodka is so smooth, it makes the perfect martini. The Long Table London Dry Gin is defined by a complex balance of eight botanicals resulting in notes of evergreeny juniper and citrus followed by earthy notes of wood, fennel with a hint of pepper –It is very juniper forward, – making it very bold – but yet remains fresh tasting. This is sure to be a summer favourite spirit and a must for any mixologist. Not only their spirits are top shelf, but surprisingly affordable. I bought a bottle of vodka AND gin for a little less than $100. 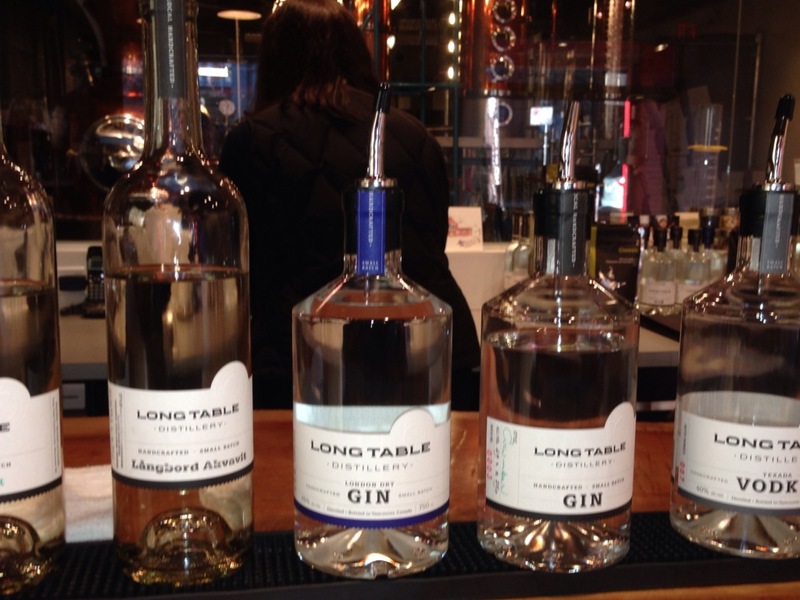 You can sample some cocktails made Long Table Vodka at Forage and Grain Tasting Bar. Edible Canada House is Back! The Best Place to Watch the Winter Games.